Our highly skilled engineers have significant experience in the design, construction and delivery of quality simulators. 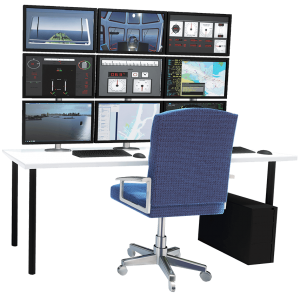 We have built simulators worldwide with applications ranging from ECDIS training, to Full Mission Bridge Simulators used for bridge training exercises. The products shown here are only examples of the type of simulators that we can offer, however each one is custom made so we are able to cater to the specific needs of every customer. In the past ECDIS Ltd has been called upon to recreate company specific maritime accidents to be used as teaching material for courses. Customers meet with the 3D and Tech team and together bring to life the events of the accident. This is a hands on process that can require as much or as little information the customer deems necessary to recreate an incident. These can then be used in a wide array of scenarios from bridge simulation exercises to reconstructions used in accident investigations in the courtroom. This is a hugely lucrative area ECDIS Ltd are moving into and already have the infrastructure in place to take it further. 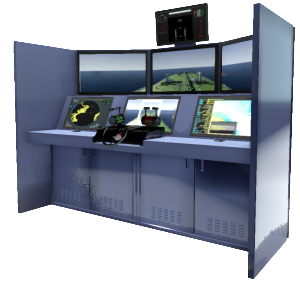 We had the foresight and vision to understand that purchasing a simulator alone does not create a complete package. We soon realised that our clients would need vessels and ports to train and get the most from their investment. With our own in-house 3D environment artists who have the skills required to build realistic ports from around the world and their own vessels, allowed clients to instruct their staff and crew on meticulously designed training scenarios. Creating a new simulated exercise from scratch is often a daunting task in the same way a blank canvas is to an artist. 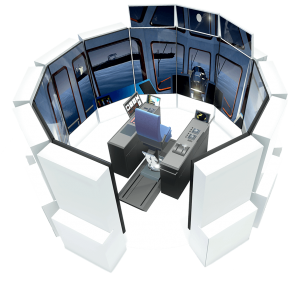 To help, ECDIS Ltd launched “Create an Exercise” that not only provides simulation customers with bespoke exercises but also teaches them the essential skills needed for creating their own. ECDIS Ltd staff control over 200 simulated exercises a year and has a huge catalogue of everything from ROR (Rules of the Road) to BTM (Bridge Team Management) exercises. Pairing the decades of experience of our ex mariners with technicians from our 3D and Tech department, quality exercises can be created for any purpose. 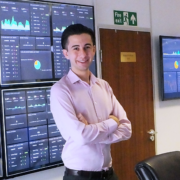 Testing is a huge part of day to day lives for the 3D and Tech team here at ECDIS Ltd. Their job requires that every piece of new software and hardware must be tested, from new ECDIS systems to the latest simulation software. This testing process can be tedious but has proven the fastest way for our team to gain knowledge and often come up with better more efficient solutions for the facility and our simulation customers. This information is incredibly valuable to the manufactures and developers of the products we test. 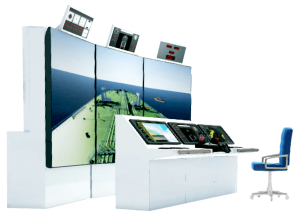 This product of ECDIS Ltd is why manufacturers and developers are keen to hear our thoughts and opinions on their products and also why so many want to work with us.